The jobs report headline on Friday was that the United States has now recovered all the jobs lost during the "Great Recession." 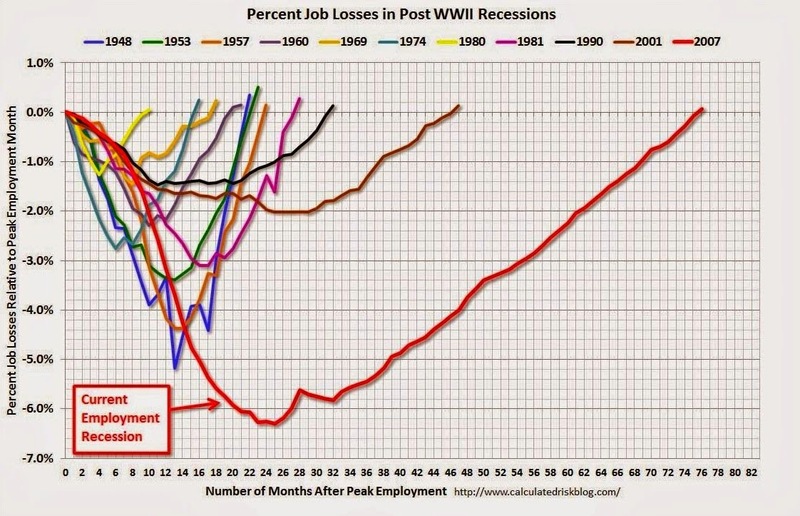 You've probably seen the chart below many times over the past few years, which shows the percentage of jobs lost compared to previous recessions in the United States going back to 1948. It was known around the online financial world as "the scariest chart." 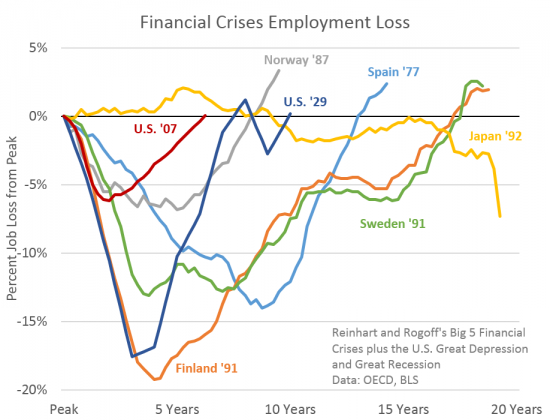 The Oregon Office of Economic Analysis released an excellent chart this week which takes the current employment recession line above and layers it against the 5 largest financial crises in history plus the Great Depression (U.S. '29). When shown in the this context the most recent employment decline in the U.S. looks mild. That's where the happy part of the story ends because as we have discussed numerous times during the last five years, the recovery in U.S. unemployment has been due in large part to Americans leaving the labor force. 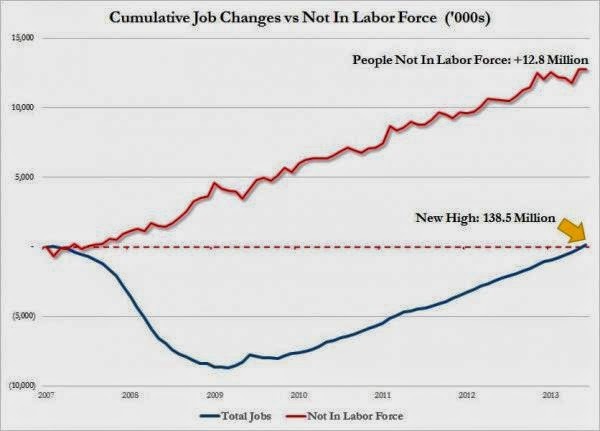 The chart below from Zero Hedge shows that the total number of Americans leaving the labor force has tracked higher in parallel fashion with the "economic recovery." The group "not in the labor force" is composed of those that have retired or have given up looking for a job. If you use the same methodology to calculate unemployment that was used during 1929, the current unemployment rate is at 23% (close to the absolute peak of unemployment during the Great Depression at 25%). 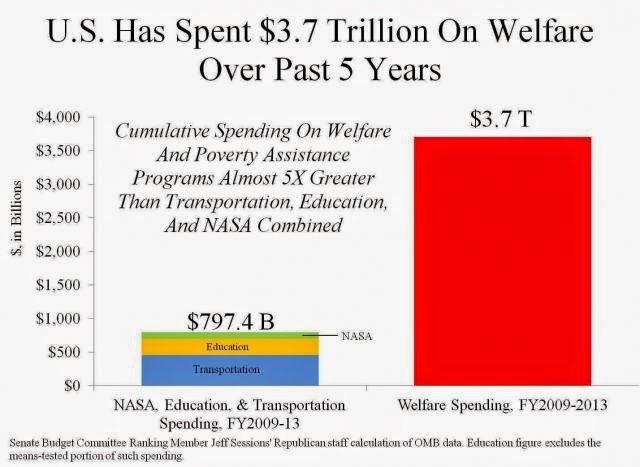 The difference this time around is the trillions of dollars in government debt used to support Americans through welfare programs.